To sum up the good, bad and ugly of EcoSport, the EcoBoost 1-litre engine is not a fun to drive motor. It gets exhausted on long stretches of roads. The transmission is smooth and the engine scores more on torque than power. 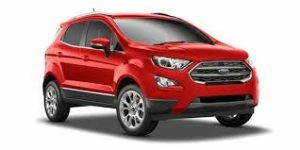 It is an ideal configuration for city driving where performance is minimal.The good rather fantasic bits about EcoSport are its handling and suspension. Ford cars are known for this and the EcoSport does a fab job too. It has no body roll. The reason of this is its aerodynamic design approach. What is Telecommuting? What Are The Disadvantages Of Telecommuting ?